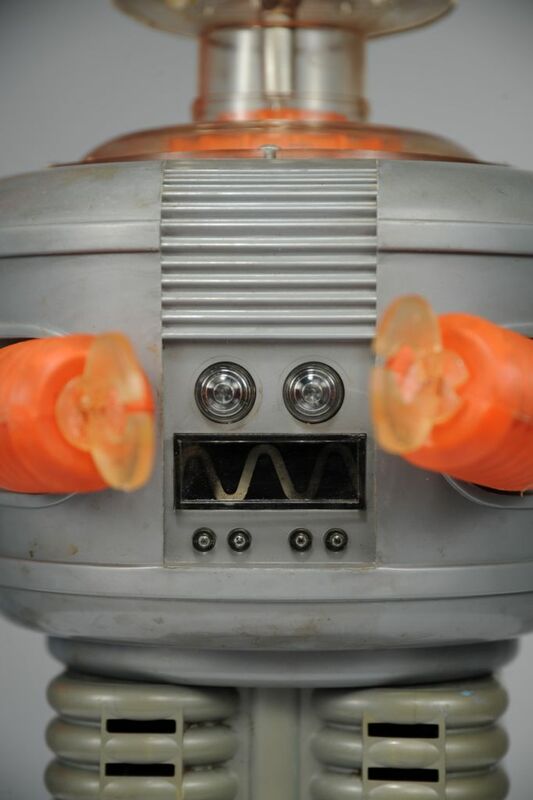 This rare Robot was made by the Lilli Ledy Company in Mexico in 1973. 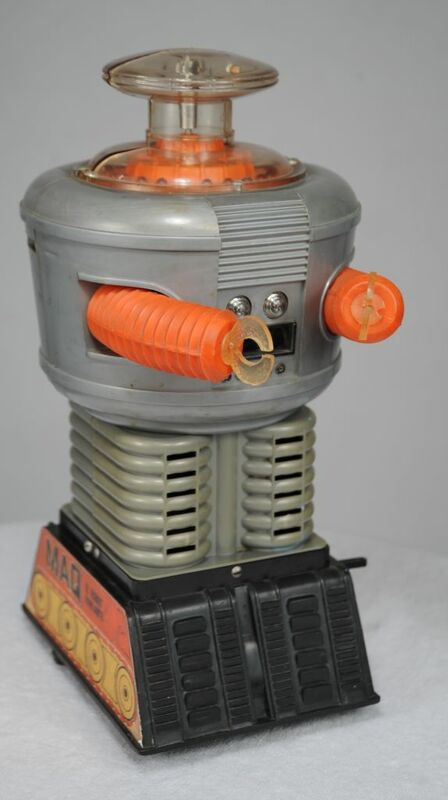 It is a "knock-off" of the 1966 Remco Robot. It does have extra features that the original does not have. Such as moveable arms, larger and wideder body base. The chest light area has a moving device. As well as red lighting rotation in the collar head section. 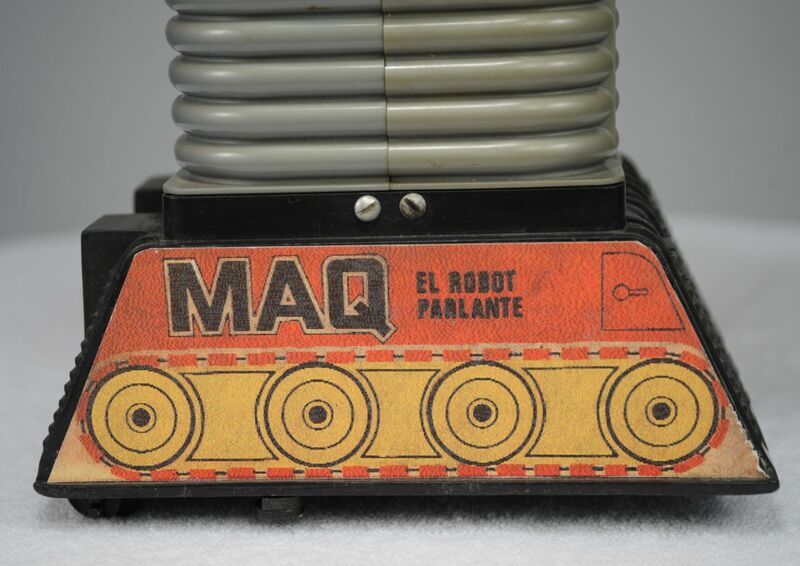 It also speaks spanish and comes with decal logo.